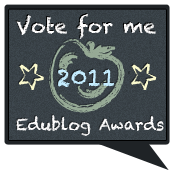 The Edublog Awards 2011 voting is now open. 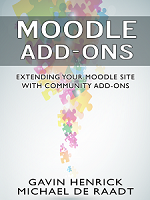 This blog has been nominated in the Best ed tech / resource sharing blog 2011 category. A huge thank you to everyone who took the time to nominate me on their blog, now over to the voting! If you have found the blog or the blog posts / white papers useful, please consider voting for the blog, it is quick and painless (so they assure me). If you can please vote from your home, as they restrict the votes to one vote per IP per day. THis means that if your organisation shares one IP address externally they wll only count one vote per day from it.